Watson met the NJSIAA Meet of Champions qualifying time for a bunch of events as he helped Cherry Hill East to a perfect 9–0 regular season. Cherry Hill High School East junior swimmer Jack Watson could swim in more than half of the boys individual events at this year’s NJSIAA Meet of Champions if he wanted to. During the 2017–18 regular season, Watson swam in a large variety of events for the Cougars. Watson said head coach Joe Cucinotti placed him in different events to help the team earn points in the dual meets. “I started off the season where my coach was putting me in whatever event he needed me in,” Watson said. Over the course of the season, Watson racked up a boatload of individual wins, including eight alone in January. In addition, Watson met the qualifying time for the Meet of Champions in nearly every individual event, missing only the 100-yard butterfly and 100-yard breaststroke. Watson is a very experienced swimmer, having swum since the age of about 5. Watson got his start swimming after his mom signed him up for lessons, but he admitted he didn’t enjoy it at first. When Watson turned 7, his family moved into the Wexford Leas neighborhood, and he began going to the Wexford Leas Swim Club. “I started to get a feel for swimming and started liking it,” Watson said. Today, Watson competes with South Jersey Aquatic Club as well as Cherry Hill High School East in the winter and Wexford Leas Swim Club in the summer. Watson enjoys competing at the high school level because of the tight, team atmosphere. Watson got an opportunity to contribute to the team right away as a freshman. While he was expecting to play some kind of role with the team his first year, Watson didn’t realize how important he would be to the team’s success. In his freshman year, Watson was part of Cherry Hill East’s medley relay team at the Meet of Champions. That team qualified for the finals of its event and went on to finish in third place. Watson’s two best events are the backstroke and individual medley. He has qualified for the Meet of Champions in those two events every year of his high school career. 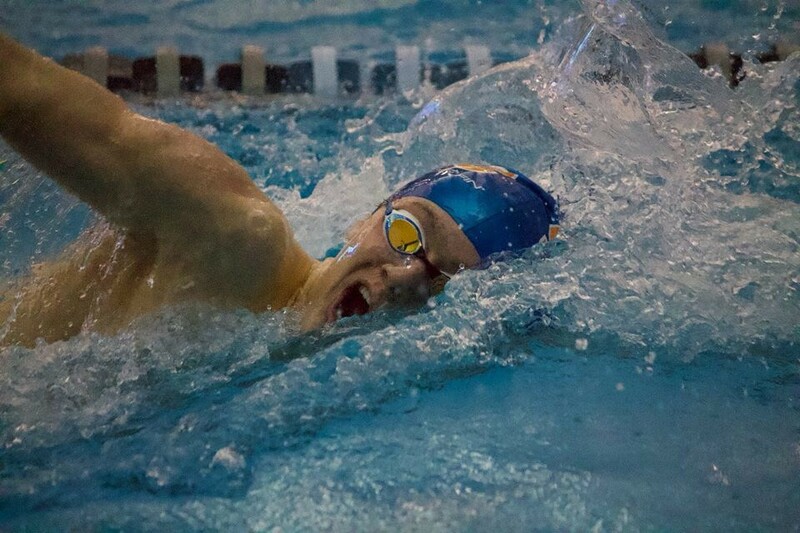 The 100-yard backstroke and 200-yard individual medley are what Watson plans to compete in at this year’s final meet. Last year, Watson made the B final in both the backstroke and IM. He finished in 13th place in the backstroke with a time of 53.34 seconds and 15th place in the IM with a time of 1:58.64. Watson is hoping to improve in both events and reach the A Final in 2018. Watson also wants to help Cherry Hill East defend its Group A state championship from last year. The Cougars finished the 2017–18 regular season last week with a perfect 9–0 record and are now preparing for the opening round of the playoffs. Watson believes the team’s focus is simply on its first-round meet and nothing further. Watson feels the team has the same focus it had during its 2017 championship run and believes it will be hitting on all cylinders this postseason.